I love flying the friendly skies, especially in the summer months when the weather is beautiful and the flying is smooth. 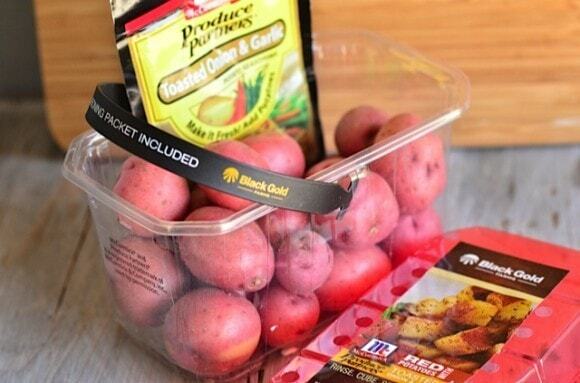 Black Gold Farms recently sent me on a trip to MO, which I’m sharing about today, along with a fantastic Roasted Red Potatoes new idea! 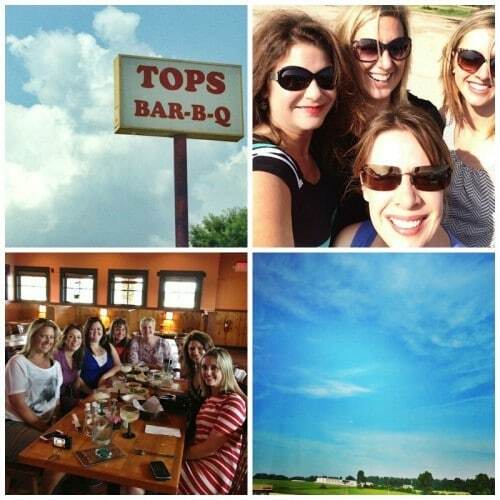 It was a few weeks ago when a few of my fellow blogging friends–Heidi, Foodie Crush; Sommer, A Spicy Perspective; Ali, Gimme Some Oven; Cathy, Noble Pig; and Angie, Big Bear’s Wife–and I traveled to Arbyrd, Missouri, to meet up with the Black Gold Farms folks and tour their farms and potato fields. It was my first time ever to visit 3 states in 24 hours! 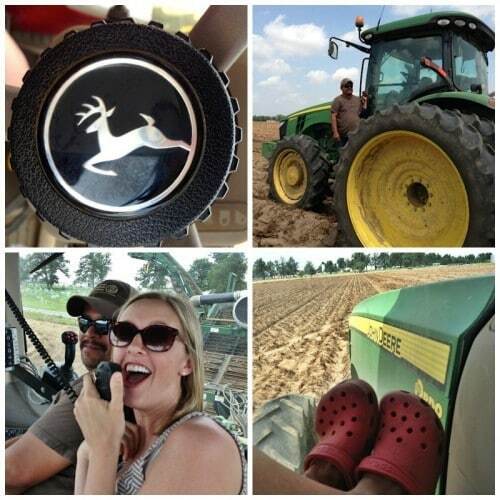 We landed in Memphis, TN, drove to Paragould, AR, where we spent the night and had a fabulous dinner with the Halverson family, and then journeyed to Arbyrd, MO to spend the day on the farm– participating in harvesting both red potatoes and white chipper (as in, potato chips!) 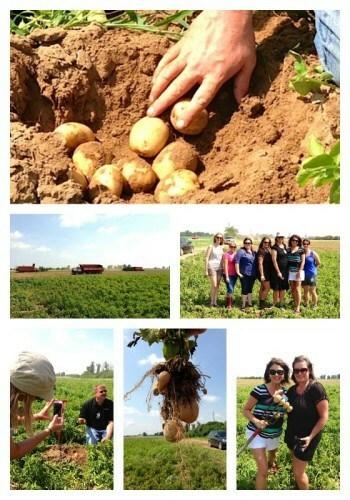 potatoes in the fields, riding the tractors with the workers, and touring the actual potato plant. 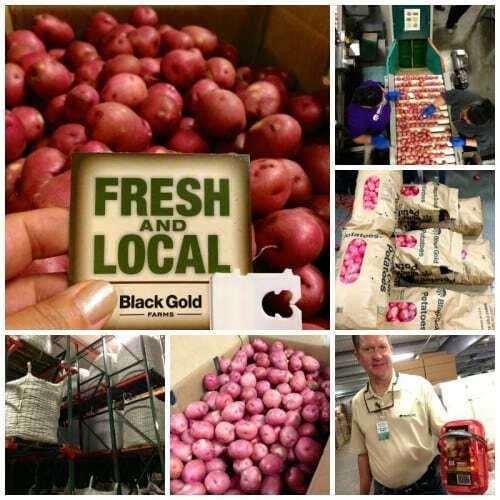 Black Gold Farms is a 4th generation family owned company, started by Hali Halverson, servicing our world in its 85th year of continuous potato production by the Halverson family. 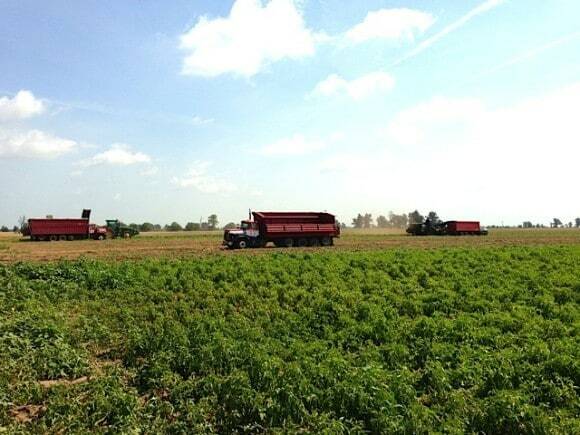 They started in North Dakota in 1959 by growing potatoes for potato chips. The Arbyrd farm, which we visited, is one of 11 farms scattered throughout the country operated by Black Gold Farms. This enables them to have staggered harvest times throughout the year, producing a consistent supply of fresh potatoes for consumers. Potato Tidbit: The potato—also known as Solanum tuberosum—is an herbaceous perennial that we grow as an annual. It can grow up to 40 inches tall and produces one to 20 tubers. 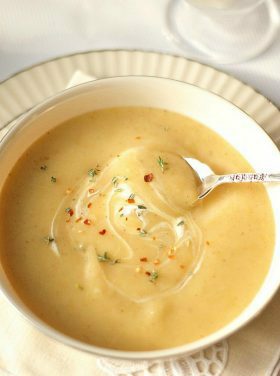 It’s also one of the most important and popular foods in the world. John and Leah–both family business leaders–were our guides, both 4th generation Halverson family farmers. I was impressed by their mission statement: To be the premier agricultural production, service and quality organization in the world. Black Gold Farms was in full swing when we arrived at their Arbryd, Missouri farm, which is managed by John, harvesting both red potatoes and white chipper potatoes. 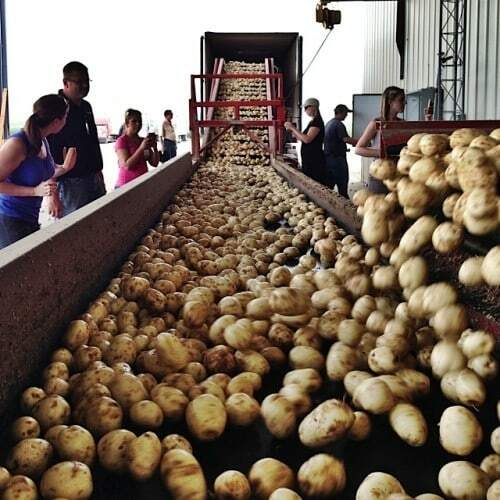 And, by the way, they supply 1/2 billion pounds of potatoes annually. That is enough potatoes to make 2 billion 1 oz. bags of chips! And flipped the potatoes over with shovels and hoes. We saw the potatoes harvested and hauled away in the big trucks. Cleaned, sorted according to their sizes for packaging. Here’s more that I learned about potato chips: Black Gold Farms is the largest supplier of chipper potatoes to Frito-Lay. As we “tested” the fresh potato chips, we learned it takes 10 minutes to fill a semi trailer with 45,000 pounds of potatoes. Here are the “reds” all bagged, stacked, and packaged into a NEW product that I’m sharing below, which I love because it’s so easy for entertaining! Later that afternoon, a beautiful drive back in to Memphis. And a fantastic evening spent at Flight Restaurant, an incredible culinary experience that everyone should experience in Memphis. Glen Reynolds, Black Gold’s National Sales Director, and Leah, joined us and let’s just say, with all of our flights of food, we tried about 16 different entries. 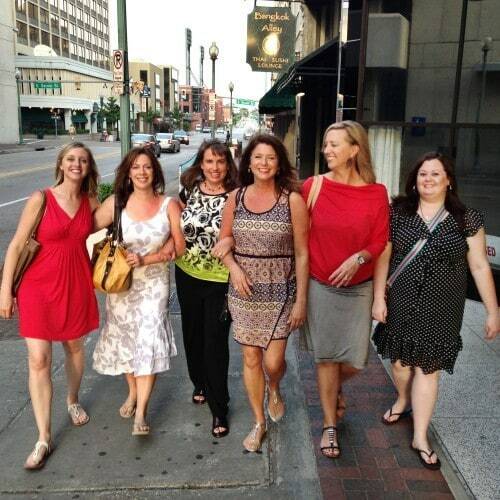 It was a delicious experience and I loved downtown Memphis! Through the entire day, it was not only interesting learning, but I loved the loyalty that the workers have toward this company, and in return, the owners of the farm to their workers and customers. They also are very proud of their practices and work very hard to achieve their own personal goals of exceeding the required food safety standards. I was all over this one: A simple bucket of small baby red potatoes comes packed with delicious spices and 4 easy steps for roasting. Anyone could have success at a dinner party using this new product, I promise! -Wash the potatoes and cut in half. 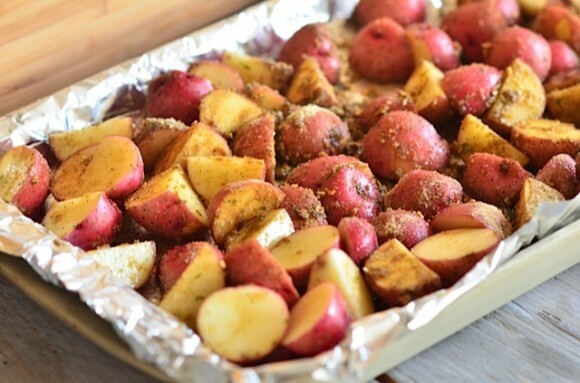 Line a pan with foil and place the potatoes evenly. -Sprinkle on the spice mixture along with 2 tsp. of oil. -Bake for 25 minutes at 425 degrees. 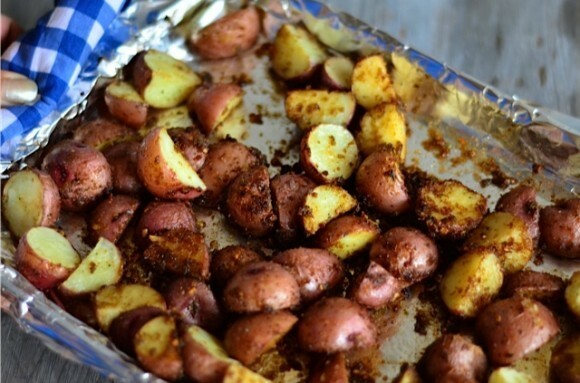 Secret for tender roasted potatoes: Do not turn the potatoes over. Leave them in the same position the entire roasting process. 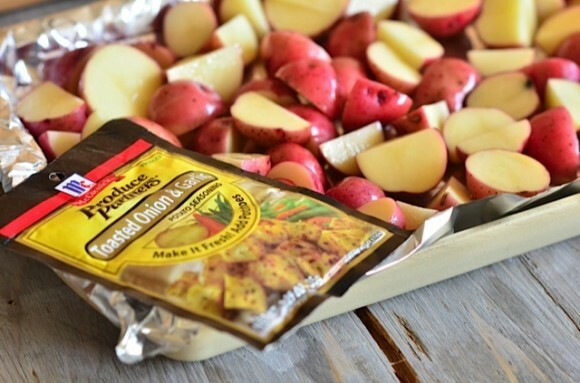 I promise – your potatoes will ROCK with flavor and tenderness! Our video: I’m so excited to share this video that Leah made of our trip. You’ll see how busy we girls were, and also the FUN that we had. My heart is very warm toward this family, for the great hospitality they showed us, and for what they give to our world! The other video: If you haven’t seen the video, God Made a Farmer, narrated by Paul Harvey, you don’t want to miss this. Thanks for following my instagram pictures. I left my “big girl” camera at home and just enjoyed having a small camera in my hand. 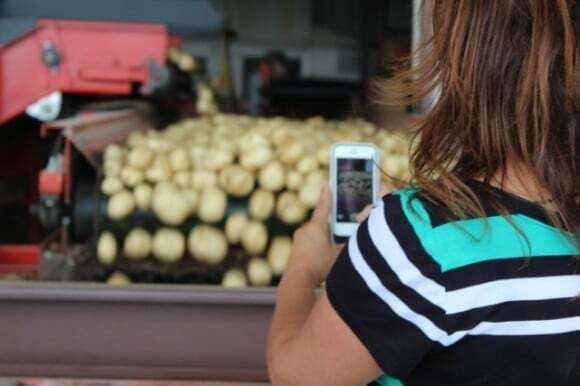 It’s a great way to stay in touch with bloggers, friends, and family while on these trips, and to show the potato progression from the beginning to the end! Although my trip was paid for by Black Gold Farms; as always, all opinions are my own. I have been reading your blog every day for quite a while and you have truly inspired me to entertain more often. There are some times it is an effort but I try to take your advice and keep my focus on my friends and family. I don’ t usually take time to comment here but I did want you to know I tried roasting my potatoes last night like you advised and they were delicious. 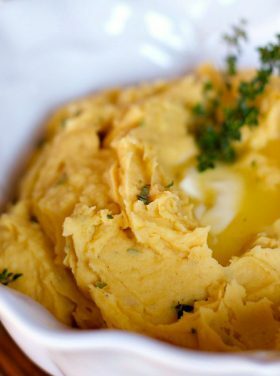 I highly recommend using this method to anyone looking for a super simple delicious side dish. Keep up the good work, Sandy. Loved the Black Gold Farm re-cap! 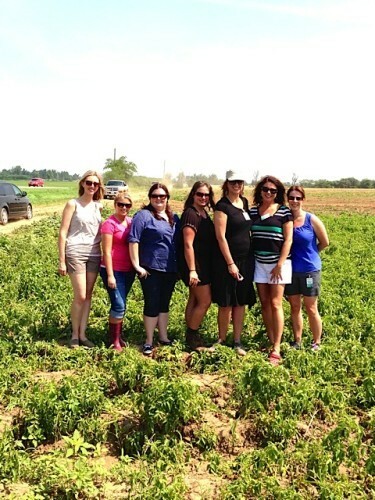 I’m also so glad that I got to earn my “Farm Cred” which such a wonderful group of bloggers! Loved the entire trip! Oh and those baby red potato packs? LOVE them! What a fun trip! I love roasted potatoes. Thanks for the tip to not touch them. I always think I need to halfway thru the cooking time! Oh Sandy, great post! I have been wanting to read more about this trip. 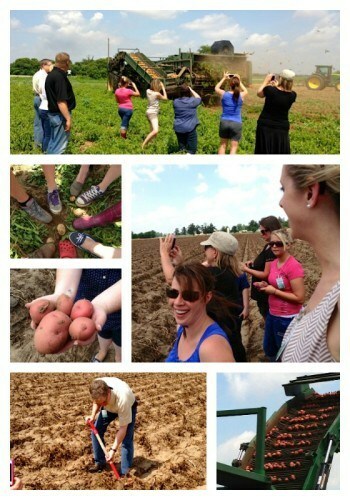 We’re growing potatoes here now, learning slowly… This farm you visited looks so amazing. Sandy: so glad you had an exciting and informative trip (even if it was quick!) to our area of the country. I also appreciate your kind words regarding Memphis, we love living here and sharing our city with visitors. Y’all come back! LOVE that y’all got to explore downtown Memphis. 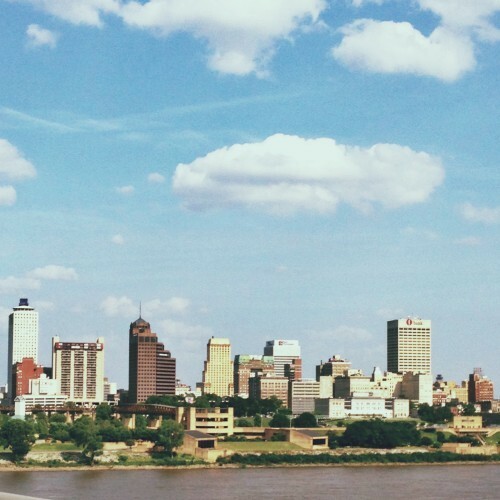 I’m from the (We Don’t) Bluff City and miss that place + the BBQ like crazy! So awesome! It was such a great trip!! Wish we could do it all again! Such a great roundup! Love all of the photos and stories. And loved getting to spend time with YOU!!! Big thanks to Black Gold Farms for such a warm and educational welcome to their farms! What a great experience, your photos take me back, you’re such an amazing documentarian when it comes to Instagram, love it and had such a blast as always with you! So fun to learn more about your trip with Black Gold Farms, such a great farm company!! What a fun and educational experience! I now officially have “Farm Cred.” Thank you Black Gold Farms for having us! 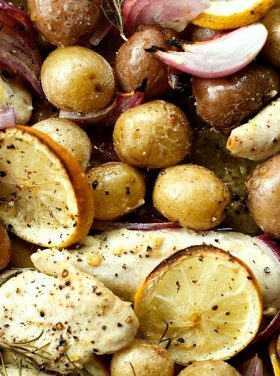 the roasted potatoes look delicious!